If you love country, then you can’t pass up on this spectacular offer. That’s right, for one great price, you get to see 15 artists – that’s right, 15!! – performing at 6 different shows over the 2019 season at the Shoreline Amphitheatre at Mountain View from Thursday 6th June 2019!! It’s going to be truly incredible – don’t miss out!! Get this special deal while it lasts by hitting the “Buy Tickets” button NOW! Every year, a select group of venues host some of the finest talent in country. You could buy tickets to each of those shows individually, OR, you could save money and get a Country Megaticket instead – a special limited edition ticket, exclusive to participating venues, granting you access to ALL that venue’s major country shows of the year! It’s a deal you can’t pass up! 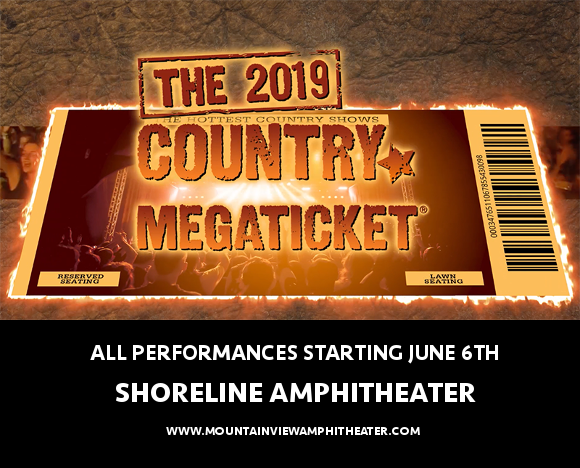 This limited offer won’t be around for long, so don’t miss your chance to grab it – get your country megatickets today, while they last, and get ready for a summer filled with country music and happiness!